In the warmer months, do you miss the comfort of sheepskin underfoot? We have had these special wide lambskin insoles set up so that they will fit almost any type of footwear. Sheepskin shoe liners available in 6 colors, they are ideal for many uses including open top sandals. Made from pure lambskin with no backing. One size fits footwear up to US Mens size 13, simply trim with scissors to fit over your favorite footwear, secure in position using glue or double sided sticky tape. Remember the plush sheepskin wool pile will lift your feet so will tighten the fit. They are ideal for sandals with adjustable straps. With darker sheepskin colors, there is a greater chance of color bleeding. 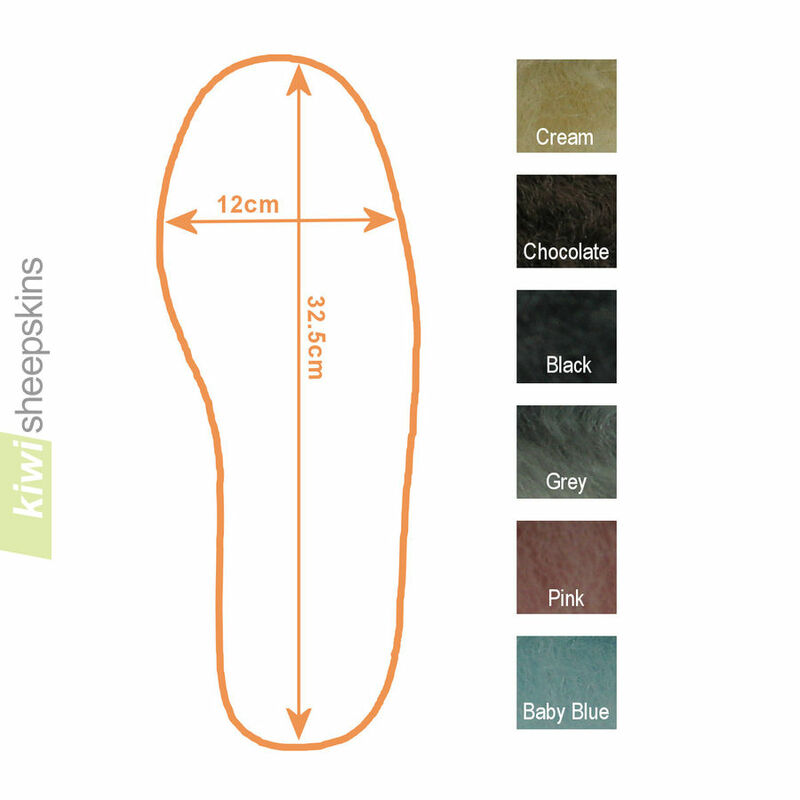 For regular sheepskin insoles in 5 sizes, see our plain insoles and foam-backed innersole product listings. Sold in pairs. One size.